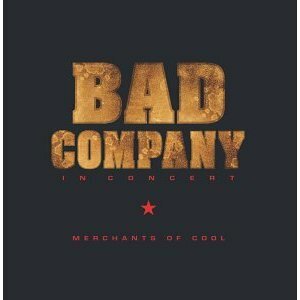 In Concert : Merchants of Cool is a live album and DVD by the Paul Rodgers version of Bad Company on their American tour in 2002. This is a short set for a live album but it rightly concentrates on the first two albums – Bad Company and Straightshooter. For some strange reason I feel aggrieved that All Right Now is included although I can imagine that the audience were delighted to hear this great song. The original bad company were very keen to create their own identity away from their parent bands – Free, Mott The Hoople and King Crimson. So that’s two of the original members in Rodgers and Kirke. Is this a worthy Bad Company live album or do you want something from the mid-seventies to be officially released? What Are The THREE Best Free, Bad Company Or Paul Rodgers Live Albums? I don’t think there has been a definitive live album issued by Bad Company and whilst they were more hard rock and Free were blues rock, I think much of the attraction is in the great vocals of Paul Rodgers. Please help me find the best live albums by voting in the readers polls. This entry was posted in 2000s Live Albums, Classic Rock Live Albums, DVD, Heavy Metal Live Albums and tagged 2000s classic rock, 2000s hard rock, 2002 live albums, Bad Company Live Albums, classic rock 2002, heavy metal 2002, Paul Rodgers Live Albums by Paul Simister. Bookmark the permalink.